SHORT NOTICE!!!! 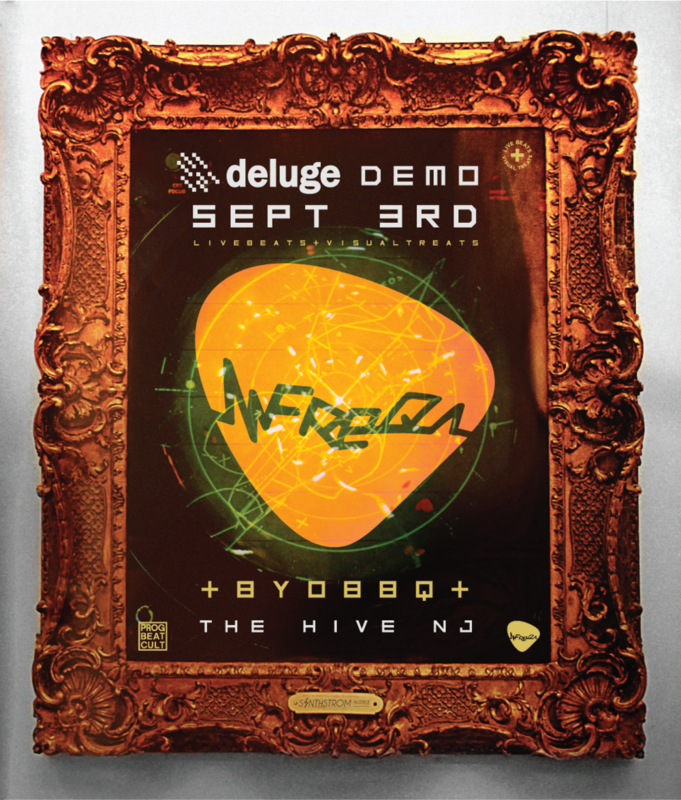 This coming Labor-day Monday SEPTEBER 3rd bring the fam to the Hive in Jersey City well be showing off your soon to be favorite new sampler the Deluge. Meet Ian Jorgensen from the Sythnstrom Audible & A LOW HUM Records preforming a live set on said deluge and sharing some new features in a workshop/demo. This is such an honor, the Freqshow jokingly put out a tweet asking them to stop in NJ and they offered. We followed up and don’t want to disappoint lets give these Kiwi’s a proper NJ welcome. They are making another stop in Brooklyn on the 5th & upstate on the 7th at Neemfest if you miss our session! I’m sure by now your asking What is this thing? If you just watched the clip your probably still in awe, The Deluge is a insane all in one portable self contained multi tracking sampler, synth, and sequencer that is exspanding, an is really about to change the game for everyone in the hardware sampler/synth game. A lot of wild tools are popping up everywhere we have our eyes on a lot of new ones and this is the cherry on top. Such a double edged sword sharing amazing tools, tips and techniques. When things are too cool to share, it enevitable that everyone will catch on. So we wanted to give you the insiders look at this monster of a instrument. So don’t miss out this Monday, well be hanging out cooking up some new stuff BBQ for Labor Day (BYOBBQ) & a live beat set on the Born Wealthy’s personal Deluge (aka KRAK/KRILLZ) and Ian too, some new inspiration for dance moves from Mello Mel, and a noisey visual light bath set by Fatblood along with a Demo of the Critter&Guitari ETC video Synth all evening. Come twist some knobs, n squarpsuh with us! Well sit around and tinker with some new toys & the Deluge till we get kicked out of the Hive!